One new title and two updated titles were added to the Student Core Collection in May 2018. There are now 420 titles in the Student Core collection. If you subscribe to this package, see a full title list in your Admin account (log-in required), or check it out on our corporate site. 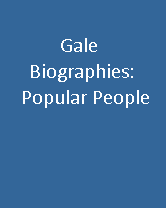 Gale biographies are engaging for those seeking contextual information on the world's most influential people. 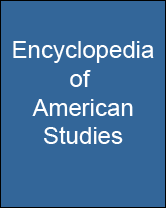 Brings together a wide range of disciplines related to the history and cultures of the United States, from pre-colonial days to the present. 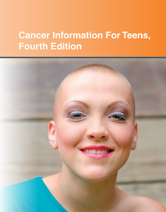 Cancer Information for Teens, Fourth Edition presents updated facts about cancer causes, prevention, diagnosis, and treatment. It explains how cancer occurs in the body and describes some warning signs. A chapter focused on cancer myths helps teens sort fact from fiction. For teens that do have cancer, the book gives practical advice about important topics, such as which questions to ask health care providers and how to cope with treatment side effects and changes in body image.